These gear cables are optimised for specific Brompton model types. Come with exactly the correct length of cable housing to suit individual models. 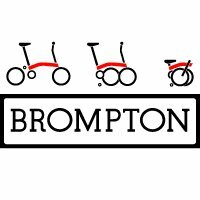 Options for M, P and H-type Brompton folding bikes. Brompton original-equipment gear cables come with exactly the correct length of cable housing to suit individual applications. 'The Derailleur Gear Cable Only M-Type LWB' - part no. 9012015 - is specifically made to fit the left hand gear changer of any long wheelbase M-type Brompton manufactured since January 2004 and it comes supplied with zip ties. 'The Derailleur Gear Cable Set for P & H Type' is specifically made for P and H-type Bromptons.